Contact Us for Office Printers Today! Looking for quality office equipment in the Midland, TX and Odessa, TX area? 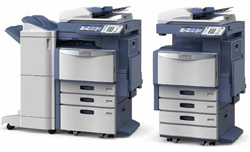 For the best in copier leasing and office printers, choose the experts at American Business Equipment. Give us a call today to learn how we can assist you and your business! American Business Equipment is an office equipment and supplies company based in Odessa, TX and Midland, TX. We offer a large selection of the most up to date and advanced digital color copiers and office printers available for small and large office needs. Our technicians are highly trained and qualified to install, maintain and network a new digital commercial copy machine for your office from any of the lines of equipment we offer including, Savin, Copystar and Oki. With decades of experience in the office equipment industry, you can rest assured that you’re in good hands and that our knowledgeable experts will tend to all of your needs. With our complete line of Digital Office Solutions, ABE is your One Stop Shop for everything your office needs in office equipment. When you browse through our office equipment, you'll find that it is full service. Our machines can fax, print, copy and scan in black and white or color. One of our representatives will come out to your office to show you how to use our equipment, or if you would like, you can come to our showroom for a demonstration of our products. Take a Look at Our Office Printers & Other Products! Throughout our years of business, we have gained several thousands of clients who used our copier leasing service throughout Midland, TX and Odessa, TX. We are eager to add your name to our ever-growing list of satisfied customers. Visit us today to learn how our office equipment can benefit your company! At American Business Equipment, we carry the office equipment brands that have proven to be efficient for businesses. Each brand offers copiers, scanners, fax machines, office printers and more. These products help to ensure that your business operates as smoothly as possible. Our commercial copy machines can even make more than 45 copies per minute. When you use our services, we want to ensure that our products help your business become more cost effective. Have you started a new business? Are you looking to upgrade your office with the latest office equipment? No matter what your needs are, we have you covered with our superior products. Our inventory includes office printers, copying machines and supplies, facsimile, black and white printers, and more. In addition to selling equipment, we can also install cables and computers for your convenience. 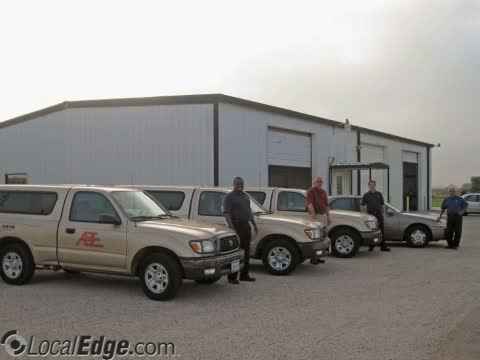 We serve both small and large businesses in the Odessa, TX area. If you are looking for office printers or other products, give us a call. Our skilled office equipment technicians are experts at refurbishing copy machines and they are available for copier leasing. Clients throughout Odessa, TX, Midland, TX and the surrounding areas agree that this option is great for businesses. This option allows for you to stay on budget with our flexible payment options and a great warranty. Our technicians have a keen eye for detail and we ensure that your machine will not only run like-new, but also look new. What would an office equipment company be without the proper office supplies to match? At American Business Equipment, we carry all of the office supplies that you need to run your office including toner, paper, ink and so much more. We are your one-stop-shop for all of your office equipment. If you can’t find what you’re looking for, a knowledgeable member from our team will be happy to assist you. If you’re buying office supplies in bulk, we welcome you to contact us today for a free, confidential quote. Give Us a Call Today to Learn More About Our Copy Machines! Have you recently set up a new business? Are you looking for new equipment for your business? Or, if you need to replace your old system with a new one, we are here to help. 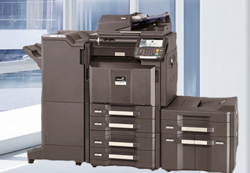 We sell copy machines, fax machines, office printers, scanners, and other equipment. We serve clients in Midland, TX and the surrounding areas. If you want to learn more about our equipment or buy a new copy machine, call us today. Whether you’re interested in copier leasing, purchasing a new commercial copy machine, office supplies, or other office equipment, we are here to assist you. Visit our showroom today to take a look at the wide range of office equipment we have to offer. You can also schedule an appointment for a representative from our team to come to your office for a complete demonstration. American Business Equipment looks forward to helping businesses of Odessa, TX and Midland, TX! 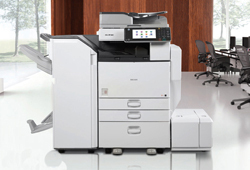 Our technicians are highly trained and qualified to install, maintain and network a New Digital Copier for your office from any of the four lines of equipment we offer from NEC, Savin, Copystar, Oki-Data. We also handle Paper Shredders, Laser and Dot Matrix Printers as well as standalone Fax machines and Scanners for your convenience.